Biodegradable plant pots are made from a variety of natural materials which break down in the soil. They provide a natural alternative to the classic plastic pots and very useful for establishing plants which do not like root disturbance. 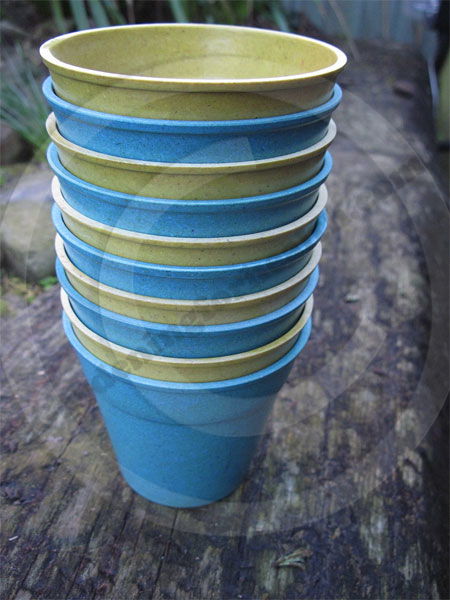 Made from bamboo pulp, these pots are by far the strongest and most robust, looking and feeling almost like plastic, they are designed to give about three years of service before starting to break down. Once bamboo pots start to degrade, they can just be put on the compost heap where they will break down over a period of about 6 months, but their longer lifespan means that they are not suited to direct planting into the ground, as they will not break down quickly enough and so will restrict the growth of the plant. Bamboo pots are similar in size and style to conventional plastic or terracotta pots and are suited to seed sowing, propagation and potting on. These particular pots from Eco Charlie also come in a great range of colours, making them an attractive feature in your green house or filled with herbs on the windowsill. Made from the husk of a coconut shell, coir is a great substitute for peat. Peat is basically partially decayed vegetation and much controversy surrounds the digging up of peat bogs. Both coir and peat pots are made from compressed, dried fibre, which are available in many sizes to suit seed propagation and potting on. Coir and peat are natural fibres which will break down quite quickly, allowing plants to be raised and planted out directly with the pot. Once in the soil, the pot rots away and the plant can grow on undisturbed. Coir pots take about 2 months to fully degrade but the plant roots are able to grow through the fibres. These types of pot are ideal for plants that do not like their roots disturbed such as; leeks, parsnip, cucumber and broad beans. The seeds are sown singly in each pot and allowed to develop into young plants, when the time comes to plant out, the whole thing can just be put in the soil where the plant will reach maturity. These growing pellets made from peat or coir are simply a dried, compressed disc of fibre, encased in a fine biodegradable mesh. When water is added, they expand to form a small plug into which a seed can be sown. By the time the seedling is large enough to plant out, the mesh is starting to break down. The whole thing can either be potted on into a larger pot or planted directly into the final position. 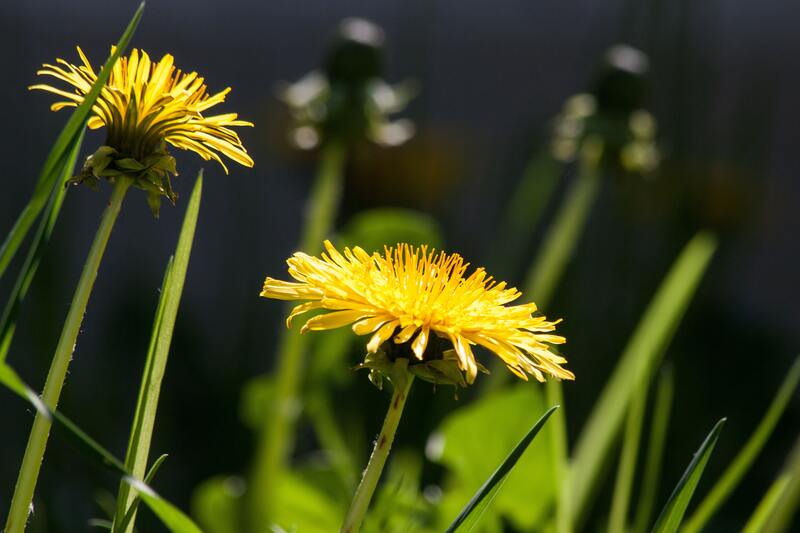 Limited by their size, these are more suited to sowing seeds of plants which can be transplanted quite young, such as hardy annuals, brassicas and lettuce. Seedlings of half hardy annuals can also be transplanted from their seed trays and the pellet will last them long enough for the plant to establish to a size where it can be planted into it’s final position. Because the plugs have no hard outer casing, they can dry out very easily and often come with special trays to help avoid this. These special trays are moulded to accommodate the pellets and can prove expensive, but normal seed trays, which are more versatile can be used instead. run such as sweetcorn, leeks, sweet peas and beans. This is a great way to recycle all those loo roll tubes and because they fold flat for storage, they take up very little space. All you need to do to use them, is open them back out and arrange them in a seed tray, fill with compost and get sowing. Because the card will absorb water, they will require a little more vigilance with watering to avoid drying out. 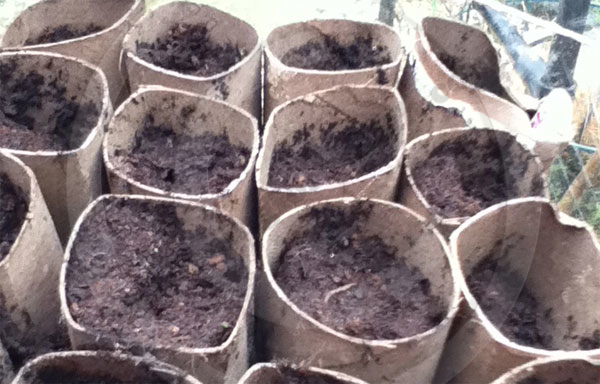 Cardboard tubes will break down quite quickly, so are suited to seeds which germinate rapidly. The tubes can easily be cut in half for smaller plants which do not have such a long root system. Above all, they are free and therefore make the most economical biodegradable pots available but you can buy specially made cardboard tubes from the garden centre. Old newspapers and magazines can be recycled by turning them into paper pots. This is a great way to use up old newspapers and magazines. Whilst you can buy special kits just for this purpose, it is really easy to use an old container and it is a wonderful way to get children involved with gardening. 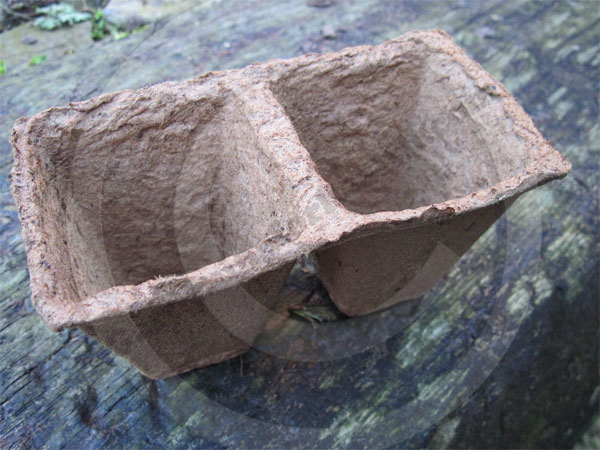 Coir, peat, cardboard or paper pots should be given a thorough soaking before plating out. This will encourage the pot to break down faster, giving the plant’s roots a chance to establish quickly in their new position. Jiffy pellets should be well watered, then planted directly into the soil, hanging baskets or tubs. Of course, plastic and terracotta pots have a longer life span and when the plastic pots start to fail they can just be put int he household recycling but they do need to be cleaned thoroughly after each use to avoid diseases and will take up space for storage. 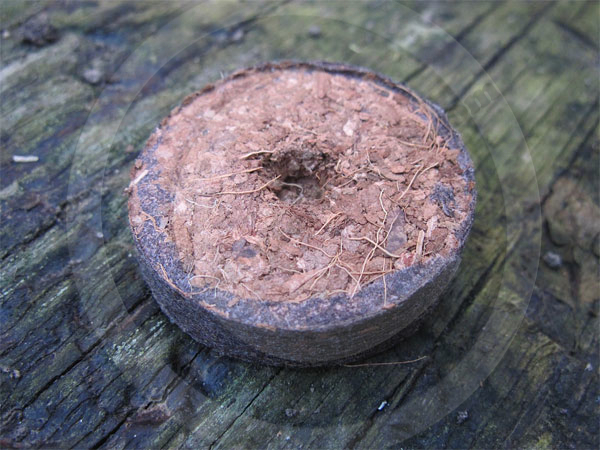 Biodegradable peat, coir or cardboard pots are single use and can be more expensive in the long run but are often necessary with plants that require very little root disturbance when planted out. There are no pots to scrub and store, so can be handy to avoid diseases and if space is limited. Growing pellets are very compact when dry but they do require the use of seed trays or special growing trays which need to be cleaned and stored at the end of each use. Cardboard tubes can be stored flat and again, require some sort of seed tray or container when in use. At Gardening for Health, we still use conventional plastic pots to raise seedlings which need pricked out and for larger plants and cuttings but we use cardboard tubes for sowing of our early greenhouse raised veg such as brassicas, leeks, broad beans and sweetcorn, as they offer a good deep root system with no disturbance at planting time. Many of our quicker growing perennials are sown in smaller pots and then pricked out into half cardboard tubes. This year we have had great success with Pimpernella Major Rosea, Digitalis and Astrantia. Once the young plant is well established and the roots are starting to appear out of the bottom of the tubes, we just give them a good soak and plant them into their final position.